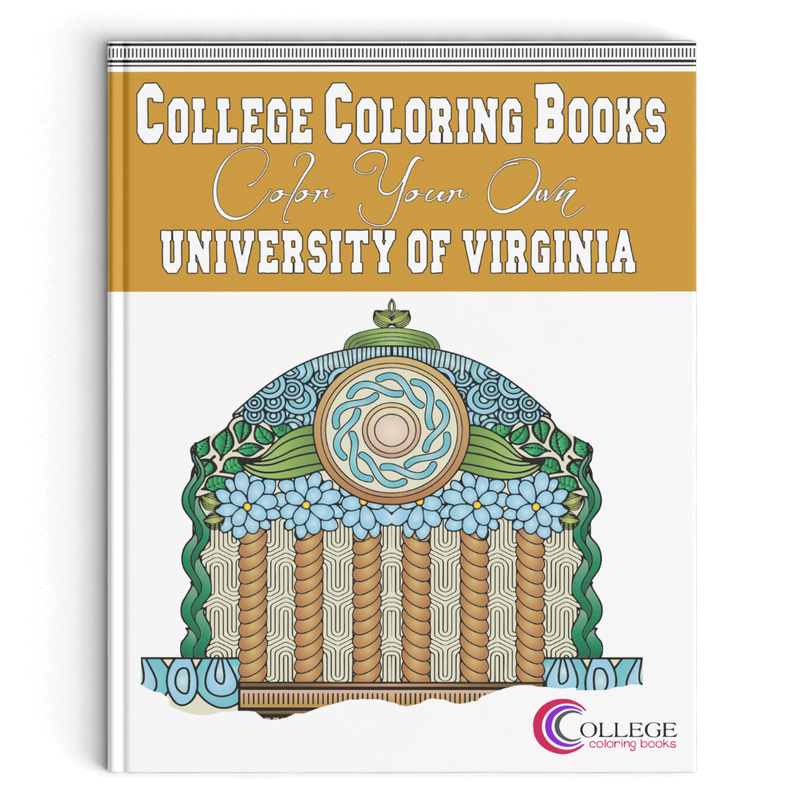 We’re so excited to release College Coloring Books: Color Your Own University of Virginia! Nestled in historic Charlottesville, Virginia, UVA has such a beautiful, distinctive campus, one that instantly evokes memories for anyone fortunate enough to walk those indelible grounds. 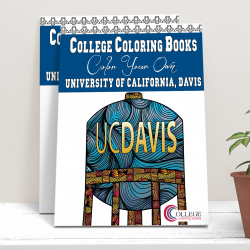 This book was a true joy to create. 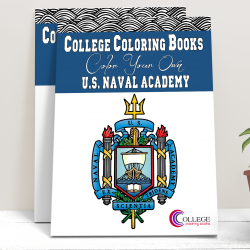 Who wouldn’t love designing a custom coloring book for a university initially envisioned by Thomas Jefferson? He may not have been a great wine-maker, but dude knew his architecture. Capturing the stunning historic buildings that make up the UVA campus was such an honor. 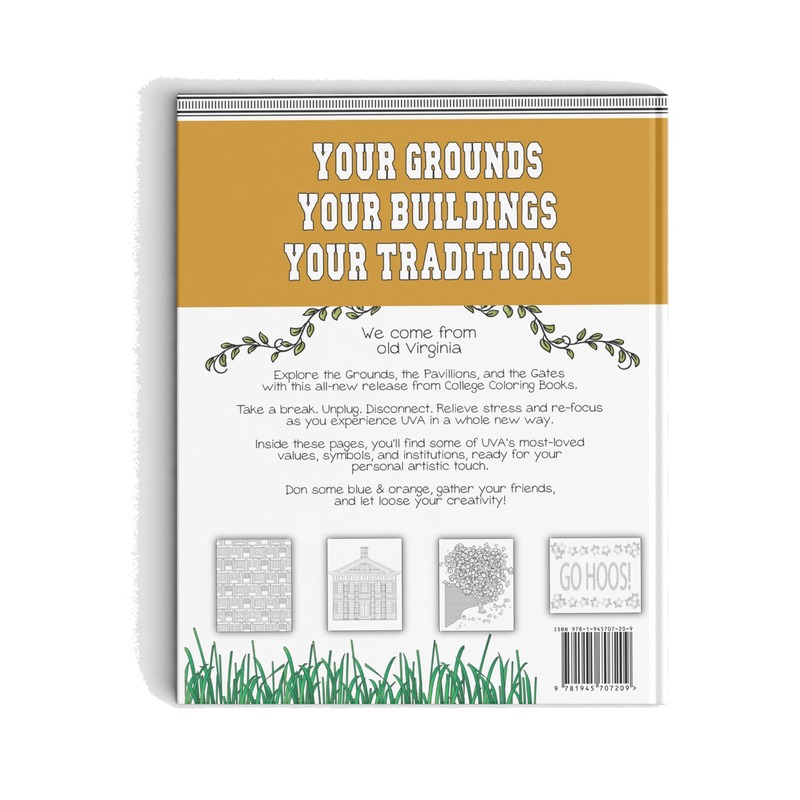 Inside these pages, you’ll find some of the most-loved traditions, buildings, and Grounds, ready for your personal touch. 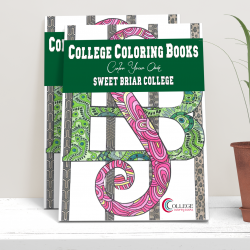 Our artwork is based on original photography by Becky Lambert Photography, a Virginia-based photographer with an eye for architectural details and stunning layouts.  10% of sales profits are donated to the University of Virginia.